Towers of Color Create a Dazzling Accent in any Garden! 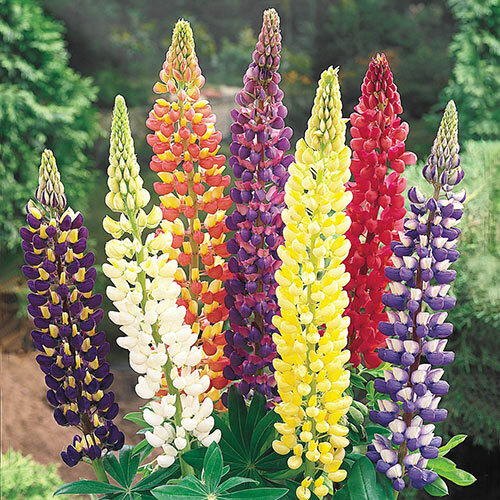 Mixed lupines bloom in a brilliant mix of colors. Vibrant, spiky flowers add structure and interest to any perennial planting or bouquet. Foliage TypeMid-green palmate leaves with narrow leaflets of exceptional beauty and grace. Flower FormFlowers showy, in terminal racemes, 1-2' long, flowers are butterfly-like and about 1/2" long. Spires of closely-set sweet-pea type blossoms. Soil RequirementsBest in slightly acidic soils. Winter CareMulch in cold Northern climates. 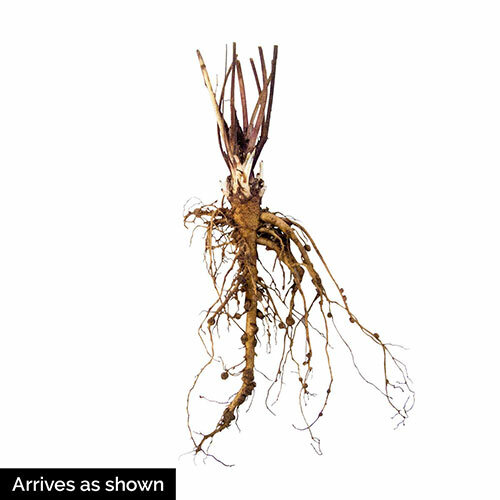 Planting InstructionsPrefers a cool, moist area for long flowering production. Performs best in areas with cool summers.